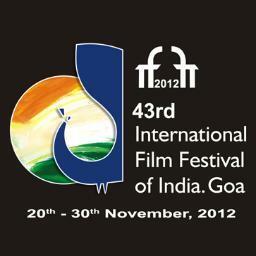 International Film Festival of India (IFFI) 2012 has introduced a special section from this year titled- SOUL OF ASIA: Cinema & Mysticism. The vision is to screen India premiers of films made on themes of Asian philosophies and philosophers, including Buddhism, Hinduism, Taoism, Zen, Confucianism, Sufism and other ancient mystic and ascetic traditions of Asia. Briefing the media here, the Festival Director Shri Shankar Mohan said, it will be a collective endeavour to evolve the SOUL OF ASIA section at IFFI so as to share mutual knowledge that touches the soul of mankind. From India’s point of view, from the beginning of her history, it has adored and idealized not soldiers and statesmen, not men of science and leaders of industry, not even poets and philosophers, but those rarer and more chastened spirits, whose greatness lies in what they are and not in what they do; men who have stamped infinity on the thought and life of the country, men who have added to the invisible forces of goodness in the world. He said, a new humanism is on the horizon and the supreme task of our generation is to give a soul to the growing world consciousness, to develop ideals and institutions necessary for the creative expression of the world soul, to transmit these loyalties and impulses to future generations. The Eastern Mysticism Section celebrates spirituality, integral to our part of the globe. Films like the Buddha, Confucius, Light of Asia, Samsara, Mystic Iran: The Unseen World, the Burmese Harp and The Great Pilgrim are some of the acclaimed entries in this section.